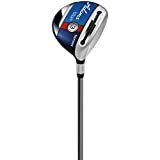 If you are a complete beginner to buying Golf woods, you would naturally pick a driver because it has a large head. But wait! A driver may have a large head, but it will make your hits difficult because it has a very low loft. Add to that the fact that you cannot use it for hitting your ball off the ground. This why a fairway wood is what you need. 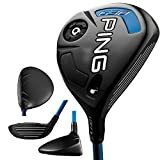 Buying Guide - How To Choose a Good Fairway Wood For Beginners? Straight, fast and long-distance shots with a bigger aerodynamic head and a hotter face cup. Forget your driver forever. Fast ball speeds and distance without compromise on forgiveness. Speed turbulators for aerodynamics and visual aid. Don’t waste your time trying to sort through the zillion options out there. After spending more than 20 hours on product reviews, customer reviews and ratings on the bestselling website, Amazon.com, I have reviewed the best products for you. Read on to find out more details. How about a fairway wood that is easy to launch and is very forgiving? Then the Adams Blue Fair Wood will be a good choice for you. It has an easy launch system which with its three special features gives you everything a new player needs to play with confidence. The sole of the club head comes with Adam’s signature velocity slot which improves the flex and speed of the face by distributing the power uniformly. Even if you hit the ball very low on the face, your ball with goes really far due to the sole slot. A low CG (Centre of Gravity) not only adds to the speed but gives you the necessary spin for your shots. The graphite shaft is slim enough to give you more kick and power per launch. The ideal loft for a new player is 16 to 17 degrees, and the loft of this club is 17 degrees which are excellent for high launch. The overall weight of the club is very light and easy to hit. But this does not compromise on the stability or reduce the control of your shots. In fact, even if you try to swing hard, the shots will feel very controlled. When you want to just focus on your hits rather than where your ball is, then the Fairway wood by Callaway is the one for you. It has a superb design that gives you a great combination of both speed and distance. That is the combination to die for, especially if you are a beginner. Forget your driver, as this club comes with a bigger head for maximum power. As if that wasn’t enough, it also combines a high MOI (Moment of Inertia), a low CG (Centre of Gravity) and a high COR (Coefficient of Restitution). This means that you don’t have to try too hard to hit or shoot the ball where you want it. The club is extremely forgiving and easy to hit. Whether you hit well or have a mishit, the club will deliver high and straight shots that will give you more yards per shot. When you hit the ball, you can feel and hear it bounce off the face. This is due to the forged hyper speed face cup that is hotter and thinner. Now you don’t have to try and look for the sweet spot as it just got bigger and easy to hit every single time. The club head also comes with a textured sole which helps deliver accurate shots. The white lines on the face stand out against the background and let you find the sweet spot with ease. This is a truly high-performing fairway wood that can work wonders for you if you are a beginner. With the amount of speed, distance, and forgiveness that you get in this easy-to-hit club, you will never reach for a driver anymore. All-rounder – There is no compromise with this fairway wood as it gives you everything you need from aerodynamics to speed to forgiveness and an easy-to-hit design. Great looks –Unlike other clubs that are super glossy, the matte finish of the crown reduces glare while the red color shaft is unique and stylish. Poor grip – The club grip is adequate but may not be very good for some. The adjustable CG feature lets you change the club’s center of gravity. This is similar to changing the wood but without the hassle. A 20 gm tungsten weight on the back of the sole can be adjusted to give you the desired performance. The weight when moved forward gives you less spin and a good launch. When it is flipped back, it increases the trajectory and forgiveness of your club.Simply sweep the balls off the fairway with ease. Versatile – No matter how you swing, you can use the adjustable weights to match your requirement. Value for money – The club comes with a lot of adjustable features which can be very handy for a beginner and at a very affordable price tag. Great looks – The sole looks technically superior as does the speed channels on the face. Striking a perfect balance is the pear-shaped head that is neither too big nor small. If you want speed but without a compromise on distance and control, then you should get yourself the Ping G30 Fairway Wood. The club comes with a special feature on its crown called tabulators which ensure that your ball achieves maximum speed and distance. They improve the aerodynamics of the club head by allowing air to circulate it. These tabulators also help in alignment like those found on driver's heads. The face takes the spotlight though with its Carpenter 475 steel which is stronger yet thinner. This results in high ball speeds and a low-back CG which increases an accuracy of shots as well as the distance. The reason we have picked four top Fairway kinds of wood and not one is that one size does not fit all. Even if the price factor were kept constant, there would still be differences in preferences. Now that you have a good idea of the features of each of the four kinds of wood, it would be easy to pick the right one for you. But if you are not sure, then we will further narrow down the selection for you. 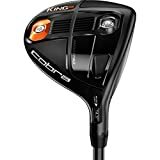 If you want a Fairway Wood that is budget-friendly and has a lot of features, then the Cobra KING F6 would be a good option. As this is an all-round performance, it can also be used even after you become an experienced player. A good fairway wood is a must in your bag. 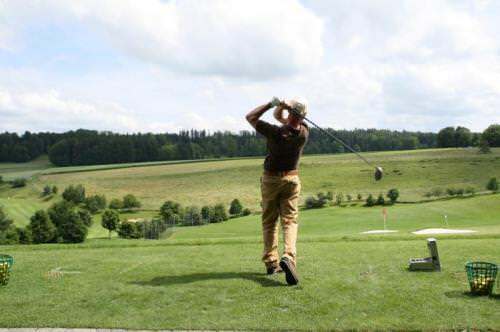 But the Fairway Wood you need will differ if you are a beginner. Even intermediate players will need something different from the professionals. Therefore, we have shown you some tips below to choose the right fairway wood for beginners. Every type of wood has a wood number, and this ranges from 1 over 9. While a 1W or 1 wood is essentially a driver, woods 2 and higher are fairway woods. Another aspect of the wood is the loft, which is the angle of the club’s face. This is what decides the trajectory of your shots. Graphite is the most common material used in fairway club shafts. Steel is rare and is mostly used by professionals. This is because graphite shafts have the right amount of height that is suitable for beginners while steel shafts are for those who want to keep their ball much lower. It is also lighter and allows for varying amount of flex to suit different swing speeds. Fairway clubheads are smaller than drivers but are able to deliver the same power. The club head is what gives your shots the required power and trajectory for speed and distance. Look for features in the clubhead that will optimize speed, distance and accuracy. The loft can be adjusted using a hosel on the heel of the head. If you want to improve ball flight and performance, choose a wood with an adjustable loft. Not all Fairway Woods are the same. Even if you managed to find a great one, it might not work for you especially if you are a beginner. Choosing the right Fairway Wood is quite a mammoth task even for professional and therefore should not be done in a hurry. We have simplified the process by doing the research for you and review some of the best fairway woods for beginners. The results here have been collated after spending more than 20 hours on reading up reviews on these products. We hope that the in-depth review with pros and cons help you choose the right fairway wood to hit your ball off the fairway.